Uhhh, Christmas is in TWO WEEKS??!! I’m not really sure why this happens to me every year, but once again it is almost Christmas, and I have yet to do any sort of holiday decorating around the house. It’s a shame, because I really do love Christmas trees and stars and twinkly lights and garlands and all of that. I just always seem to run out of time! I’m hoping these photos give me the incentive to do something this weekend to make the house look festive. My house last year. I think I put this together on the 24th! I haven’t decorated yet because of my back, I can’t lift any of my boxes of stuff. I was able to get them out of the attic yesterday but then couldn’t get them down the stairs. I’m hoping that I can do that tonight, or it is going to be looking pretty bleak! I can’t believe Christmas is in two weeks!!! We’ve already put up our Christmas lights and our palm tree in the corner got the holiday treatment, but that’s about all I’ve managed this year… haven’t even done my shopping yet. I just had the same realisation today! It came when the editor of an Irish interiors mag emailed me asking if I’d be interested in having my home featured in their Christmas 2009 issue – a photographer will call round in the next couple of weeks – I immediately said yes (I LOVE Christmas issues of interiors mags!) even though we have yet to decorate, own pretty much no decorations, and have no space for a tree. 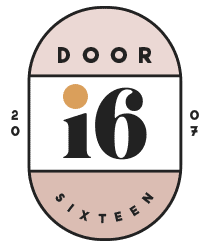 Then I flicked through a few blogs and websites for inspiration – Door Sixteen has definitely come up trumps – thank you! Inspired? Yes. Panicked? HELL YES. I had to double-check to see if this was Door Sixteen or if somehow Martha’s website had shown up in my RSS feed. Wow! Every single photo is just scrumptious! You’ve really done a great job! i am all out going crazy in the house this weekend, it has to be festive and awesome…Christmas is also my birthday so it is especially exciting for me. 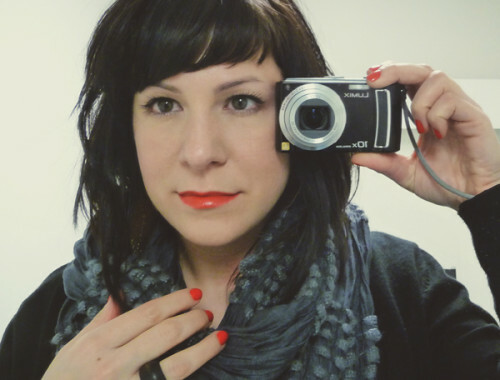 I recently discovered your blog and now read it everyday! Where did you get that great bird print in your first photo? i managed to put up a small pine bough. the warm weather makes holidays here so un-festive, it’s sad. Laura, the ink drawing of the bird is by my father, Bruce Dorfman. I think it was done in the ’50s or ’60s—I keep meaning to ask him and then forgetting! I really like the idea of having a different tyoe of tree as a christmas tree! I have never been very into decorating for christmas myself, since I always spend it with my family in Sweden, where there are plenty of that kind. But that modern type of christmas tree is very nice, but where can you get hold of a tree like that? Do you simply have to go to the forest and steal one ;)? I’ve given up on decorating – my cousin’s daughter smashed my three(!) Christmas ornaments. I’ll be lucky to get my Christmas shopping done at this rate. I know, I’m not ready yet either! But getting there slowly 🙂 Great collection of shots, I love the one with the blue-grey chairs of all sorts and the great Christmas mobile above the table. If it makes you feel any better, we haven’t done anything yet either. We planned to cut down our tree last weekend, but it was 20 degrees and windy, so we decided to hold off. This weekend we have to go no matter what the weather! Oh, yeah, and THEN we have to start shopping… And hopefully we’ll finish up in time to savor the days we have off for making dome cookies, pizzelles, and homemade peppermint Oreo ice cream! except I do have a homemade advent wreath. It’s a bit difficult to get in the mood when ya live in Florida. This native Iowan misses snow! I never put up decorations or sent out cards before I had kids. Time just seemed to move too fast, and before I knew it, it was too late. Now, with the boys, I get excited watching them get excited and my decorations are up almost immediately after Thanksgiving. I LOVE THIS! So inspirational. My idea this year is candlelight, candlelight, candlelight.. and if possible, more candlelight without burning down my apartment building. No seriously. The other day I suddenly wanted some glogg, and realized it’s almost Christmas! Yikes. I really like that picture with the branch hung with ornaments over the dining room table. I will definitely be taking that as inspiration. I have a tree up. That’s it. I am not even sending Christmas cards this year, and it’s my kid’s second Christmas, so I have no excuse to be all jaded about Christmas cards. Oh, the Myliving tree is gorgeous! Love the candy cane detail. 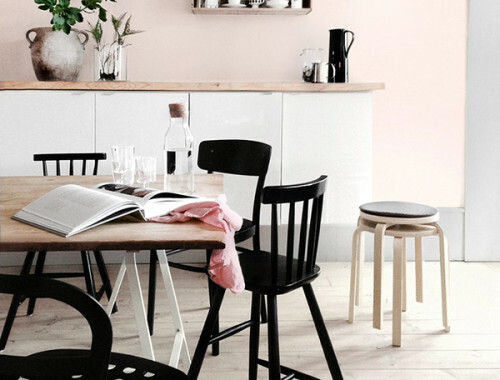 Bo Bedre has the BEST decorating suggestions… i just wish i could understand it! To find a tree yesterday was a real struggle in here, although I think we weren’t thát late this year. Anyway, we decorated everything. Great ideas you showed in this blog! Funny thing, your wooden santa is nearly the same as the one I have in here (see my blog), which was made by my son last year! I’ll be travelling to my parents. These give me some inspiration: will be putting up tree and so forth once I get there. Superlove the big branch thingy over the table. 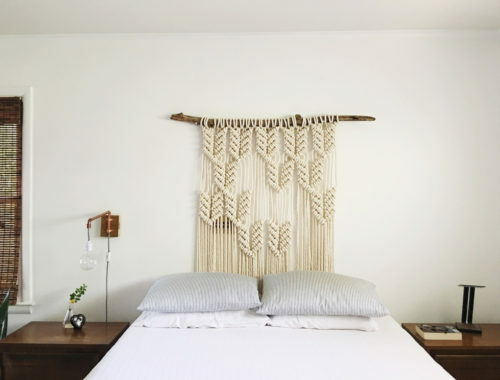 I love all of these, yours looks great too, simple and lovely! This really ups the ante though and makes me realize I need to be more creative next year. Thanks for this post.